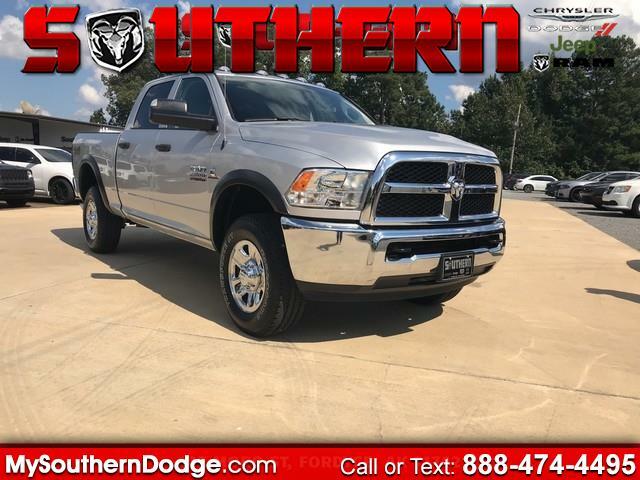 Southern Chrysler Dodge Jeep Ram is excited to offer this 2018 Ram 2500. Equipped with 4WD, this Ram 2500 gives you added confidence to tackle the surface of any path you take. There is no reason why you shouldn't buy this Ram 2500 Tradesman 4x4 Crew Cab 6'4 Box. It is incomparable for the price and quality. Just what you've been looking for. With quality in mind, this vehicle is the perfect addition to take home. The look is unmistakably Ram, the smooth contours and cutting-edge technology of this Ram 2500 Tradesman 4x4 Crew Cab 6'4 Box will definitely turn heads. Discounted price is for any business owners.